For nearly two-thousand years, the Christian religion has made claims of a divine judgment that will come at the end of time as we know it. That the unbelieving world will experience the wrath of God is an essential feature of Christian belief. In fact, if the Christian doctrine of judgment were false, then Christianity as an entire religion would be false as well. Hence, the idea of divine judgment is an essential element of Christian belief. 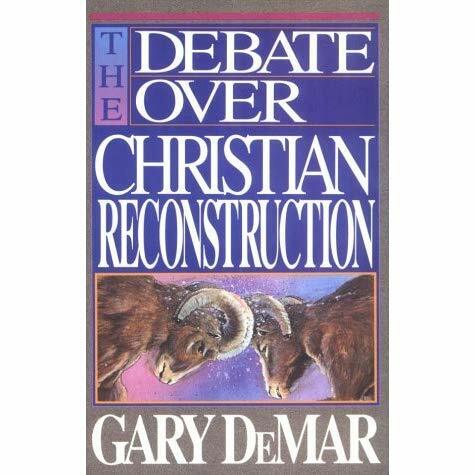 To deny the idea of divine wrath and/or the doctrine of divine judgment at the culmination of human history is a denial of the Christian worldview as it has been historically understood and expressed in the major creeds of Christianity. For we must all appear before the judgment seat of Christ, so that each one may be recompensed for his deeds in the body, according to what he has done, whether good or bad. [2 Cor. 5:10] The words that appear here, if taken seriously, at face value, are sobering indeed. You and I must appear before the judgment seat of Christ where we will give an account for our deeds, both good and bad. Note, these are deeds “in the body.” This somber truth seems entirely lost on modern, American and other Western Christians. “And He ordered us to preach to the people, and solemnly to testify that this is the One who has been appointed by God as Judge of the living and the dead. [Acts 10:42] Jesus Christ came as a babe in a manger the first time around. He brought a message of grace, of hope, and a promise of new life. The second time around, for those who have rejected his message, those who have rejected the testimony of God, the message will be remarkably different. Jesus is coming again to execute the righteous judgment of God and to reign down wrath on all those who would make God’s witness of Himself out to be a lie. This sort of language, the language of eternal judgment has all but been abandoned by the modern church. As a human uplift-society a church built upon the notion of human autonomy would no longer challenge the world to forsake its wisdom. The church would then have rejoined the men of the world in their hopeless effort at identifying themselves in terms of themselves and at finding meaning in their world. [Van Til – A Christian Theory of Knowledge] And is this not the very church that we have today? It is an organism for the most part that seeks to reshape only at the highest levels of society, the surface levels, the shallow levels. It would end abortion but not the fornication that creates the unwanted child to begin with. It would end gay marriage but tolerate the godless practice of illicit divorce at the whims and emotions of the shallow and the rebellious. The church remains in the earth to warn men of the judgment that is to come, not to build culture-shaping, government influencing, financial empires aimed only at social good. The very last verse of the preacher says, For God will bring every act to judgment, everything which is hidden, whether it is good or evil. [Ecc. 12:14] Everything that is hidden will be exposed. We will stand before our Lord and give an account for how we conducted ourselves in this life. “Therefore having overlooked the times of ignorance, God is now declaring to men that all people everywhere should repent, because He has fixed a day in which He will judge the world in righteousness through a Man whom He has appointed, having furnished proof to all men by raising Him from the dead.” [Acts 17:30-31] Notice that God is now declaring to men everywhere, that they must repent. Why? Because judgment is coming. God is going to judge the world in righteousness through Jesus Christ. Now, we just celebrated Easter Sunday. In this text, Luke tells us that Paul explains to the Athenian philosophers of his day that God has furnished proof to all men that judgment is coming and he did this by raising Jesus Christ from the dead. The resurrection of Jesus Christ from the dead is proof that God will judge the world through His Son. If God raised Jesus from the dead, then God will judge the world through Jesus Christ. God did in fact raise Jesus from the dead. Therefore, God will judge the world through Jesus Christ.